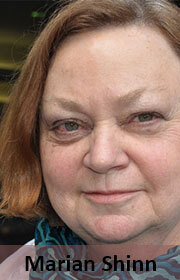 You are at:Home»Opinion»Marian Shinn»Digital TV delays: who’s pulling the strings? Digital TV delays: who’s pulling the strings? Several delays in the regulatory process necessary to roll out government’s subsidised television set-top boxes for digital terrestrial television indicate continuing indecision and possible manipulation by broadcasting industry players, individuals in state entities and deployed ANC cadres. The international deadline for switchover to digital broadcasting is mid-2015, yet South Africa is nowhere close to meeting this deadline. Two non-events of the past week caused alarm bells to ring on this issue. 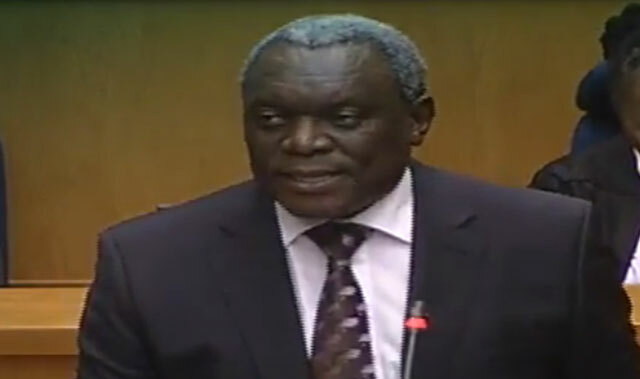 Firstly, minister of telecommunications and postal services Siyabonga Cwele cavalierly responded that the broadcasting digital migration (BDM) policy will be finalised after it has been approved by Cabinet in response to my recent parliamentary question asking when the policy will be presented to cabinet and why it is being so delayed. South Africans deserve more than this dismissive response on a policy that was ready for cabinet approval before the May 2014 general election. Secondly, the qualifying criteria for set-top box subsidies were due to be published in the 26 September Government Gazette. They did not appear, inexplicably. Subsequent responses to my enquiries as to why they did not appear revealed that telecoms and postal services director-general Rosey Sekese had asked for them to be held back, pending approval of the revised BDM policy by cabinet. This raises very serious questions about who is pulling the strings to delay the roll out of digital television. I urge minister Cwele to come out from the shadows to give a comprehensive clarification on the state of play and who is contesting for control of the lucrative and dynamic broadcasting market. At a gathering in September, Cwele made, according to an industry analyst, “a lot of noncommittal noises and promised that the whole broad policy would be announced before the end of the financial year”. The deadline the minister has given himself is just two months before the digital switch-on deadline. This is surely not the time to re-do the policy? His predecessor, Yunus Carrim, was frank and open about the challenges facing the digital migration strategy, the competing interests and the hard choices he was having to make. And the sector started to trust him because he was prepared to break the impasse. In presentations made on progress to parliament’s portfolio committee on telecoms and postal services last month, all the entities involved left more questions unanswered than answered, particularly about the full extent of costs, identification, training and management of set-top box installers, the logistics and support infrastructure of the roll-out phase, and responsibility for ongoing support. The digital broadcasting strategy seems to be gathering a perfect storm of misguided policy, government ineptitute, meddling by self-interested players, unrealistic expectations of set-top box beneficiaries and spiralling costs in a climate of economic meltdown. The cabinet needs to make the courageous decision to prune the scope of the set-top box manufacturing and subsidy scheme to exclude the enrichment of politicians, state employees, connected cronies and influential private sector players, and deliver digital television on time, with no further delays. Not prune it, scrap it altogether. Scrap all Government intervention and interference in the manufacturing of these STBs, scrap subsidies, and leave it to the respective broadcasters and private electronics manufacturers, either foreign or abroad, to decide whether the DVB-T2 signal should be encrypted or not. As simple as anything, I have been saying that for years now. Edit, addition : I can see only two ways out of this quagmire, the one described above, and the 2nd option is to scrap the whole DTT program altogether and have only TV reception from our satellite dishes, as mentioned below. Maybe the latter is the easiest and most affordable. Traditional TV by sat, and emphasis of rollout of real broadband by fibre to most corners of the country. Nothing new here…It’s simply BAU in Azania. Same as it ever was since April 1994. I suppose we should at the very least all be grateful that the ANC minister of health has the Ebola pandemic firmly under control…WAAAAAH!! The U-turn by Gauteng on e-tolls should be a lesson on the value of doing as others who are successful do when it comes to such matters. eTV has moved OpenViewHD to the same satellite DSTV is using. OpenViewHD offers 18 television channels, including SABC 1, 2 and 3, FREE of charge. Mahala. Thousands and thousands – if not millions – of people are opting for these FREE channels via satellite. Government will have far less decoders to subsidize. The longer they delay the less boxes they will have to subsidize. And the better it is to maybe scrap this whole DTT program. And strip all Sentech towers of the R 2.5 Billion or more of DVB-T2 transmission equipment already installed, and sell it to a country where they are already implementing this DTT. And TV can only be received from a satellite. SA will be dilly dallying it for ever. Classic example of the inertia caused by the over-regulation (resulting from the attempt to fix the wrong problem), put in place incompetents that are misled by the avaricious.